Tranquil Motel and Bar/Restaurant/Convention Hall Well known as a popular gathering place for tourists, Roosevelt Resort Park surrounds a beautiful pond and features a restaurant/bar and spacious community room with seating for hundreds. Discover the rustic charm Roosevelt Resort Park delivers just a short drive from Roosevelt Lake in Roosevelt, Arizona. This uniquely diverse cabin resort offers a variety of lodging options, all with majestic views of Tonto National Forest plus an American comfort food restaurant & lounge. Choose from motel rooms or cabins. We offer dog-friendly and pet-free options. Whether you're participating in a bass fishing tournament on Roosevelt Lake, planning a weekend escape from Phoenix, an extended stay for the family, or a large-group getaway...Roosevelt Resort Park delivers modern-day comforts everyone will enjoy. Let us customize your your next large event. We will work with your desired food and beverage selections. Choose from indoors, to outdoors, or both for your party. Our lodging property can accommodate up to 100 motel and cabin guests. A Refundable Deposit of $250 will be collected upfront to hold the Convention Hall Reservation. If event is cancelled 30 days prior to event, deposit will be refunded. A Refundable Deposit of $250 will be collected upfront to hold more than 10 rooms. If event is cancelled 30 days prior to event, deposit will be refunded. Seating for 125 people featuring an area for a band plus a dance floor. Private service bar for this dining area with views of the pond and mountain range. Atmosphere/Decor: Spacious dining area. Dance Floor. Picture window views of pond and mountain range. 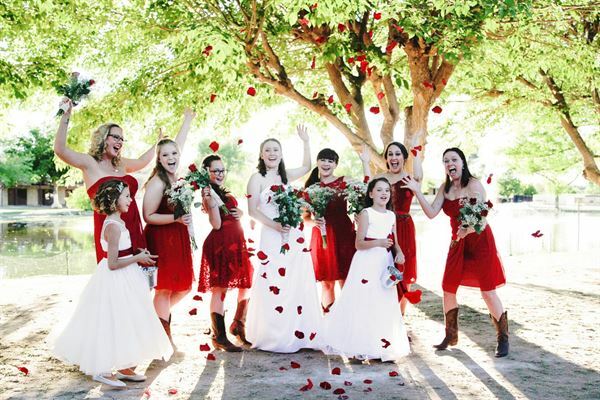 Majestic mountain views pond-side with amazing Arizona sunsets make a memorable background setting for your event. Special Features: We can accommodate large groups for both Food/Beverage and lodging. We have a catch and release pond, hiking and ATV trails, full service restaurant and bar, beer garden and horseshoe pit, plus a game room.